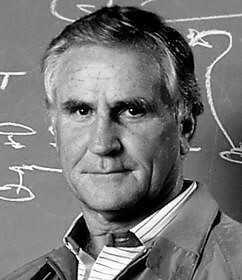 Don Shula, Former Football Coach. Founder of Shula’s Steak Houses. Motivational Speaker. On July 26, 1997, Don Shula capped off an illustrious career when he was inducted into the Pro Football Hall of Fame in Canton, Ohio – his first year of eligibility. Shula’s unanimous election to the Hall was the ultimate honor in a career full of record-setting accomplishments. Shula’s record as head coach of the Dolphins (1970-1995) and before that as head coach of the Baltimore Colts (1963-1969) is unmatched in National Football League history. Shula is the winningest coach in NFL history with 347 total career wins. In 1995, he concluded his 33rd season as an NFL head coach and his 26th season as head coach of the Miami Dolphins. In addition, Shula won Super Bowl titles in 1972 and 1973, one of only five coaches in NFL history to win consecutive Super Bowls. He has appeared in more Super Bowls (six) than any other coach and is one of only two coaches to reach the Super Bowl three straight seasons (1971-1973). His 1972 team went 17-0, recording the only undefeated season in NFL history. Throughout his football career and during his 30+ years of building the Shula’s Restaurants enterprise, Shula has always given considerable time and financial support to many area charities, with an emphasis on cancer charities. The Don Shula Foundation was established as a tribute to his late wife, Dorothy, over 20 years ago with a mission to fund breast cancer research. Shula has also been active in the American Cancer Society, March of Dimes, American Red Cross, the United Way, and Catholic Charities. Because of his successes on the football field and his long-time civic and charitable service, Shula has received countless prestigious awards recognizing his contributions. Additionally, Shula co-authored the highly acclaimed book Everyone’s A Coach with Ken Blanchard. Published in 1995, the book outlined managerial philosophies for business and personal success. Shula personifies those business principles himself, serving as equity partner in two highly successful enterprises: Don Shula’s Hotel & Golf Club in Miami Lakes, Florida and Don Shula’s Steak Houses (the parent company of Shula’s Restaurants).